Today International Investor, Billy Keels, is on the show and is going to teach us all things lifestyle design through Real Estate. 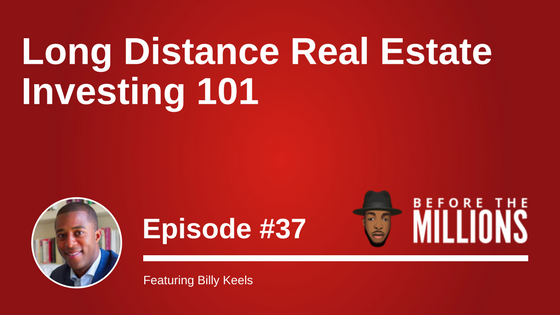 We dive into Billy’s life and discover some of the tactics he uses to grow his portfolio such as Seller Financing. We are going to learn exactly what Seller Financing is and how we can take advantage of such a strategy. We’ll also look at the importance of building a strong team around your real estate business especially if you are one that is looking to be location independent. Lastly, we’ll discuss how crucial it is to be a problem solver rather than a real estate investor. In the last 17 years Billy Keels, KeePon Cashflow’s founder, has had the opportunity to work in 86 countries, learn and fluently speak 5 languages and has lived in 3 European Countries. Today Billy is a long distance real estate entrepreneur, author, coach, public speaker and mentor. Hi’s teams select and operate multifamily properties in the USA, while Billy lives in Barcelona, Spain. Today’s show is jam packed and filled with actionable goodies!